Love to shop? In spite of the Island’s lack of mega-stores (or perhaps because of it) Martha’s Vineyard is a shopper’s dream come true. Full of small shops, art and craft galleries and open air markets, shopping the Island reveals all sorts of unique merchandise not readily available elsewhere. Whether you are looking for something to take home to remember the Island by, are treasure hunting for vintage bargains or are starting your holiday shopping waaay early, there’s no better time than now to be shopping on Martha’s Vineyard while summer fairs, festivals and shops are all open for business. Island merchants carefully curate their merchandise, making the shopping ‘hunt’ more rewarding, as unique and exceptional items are the norm and not the exception. In addition to handcrafted, one-of-a-kind items offered at the Island’s many craft fairs, add a variety of Island-themed jewelry, books and art to round out the choices that are exclusive to the Island. 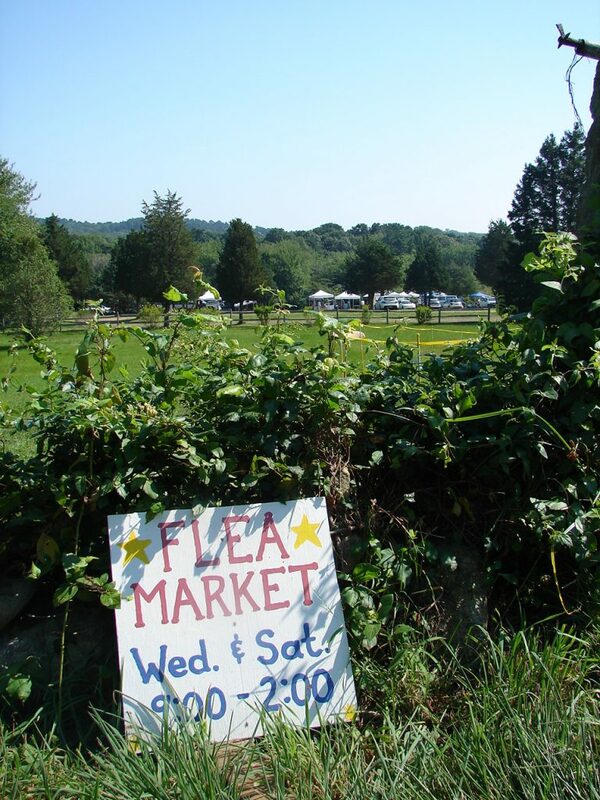 The most obvious places to look for one of a kind items are Island craft fairs and festivals: Three seasonal favorites – The Vineyard Artisans Festivals, Chilmark Flea and Featherstone Center for the Arts’ Fine Arts & Flea Markets – are annual events and eagerly anticipated. Shop any one of these for handcrafts, local artwork. 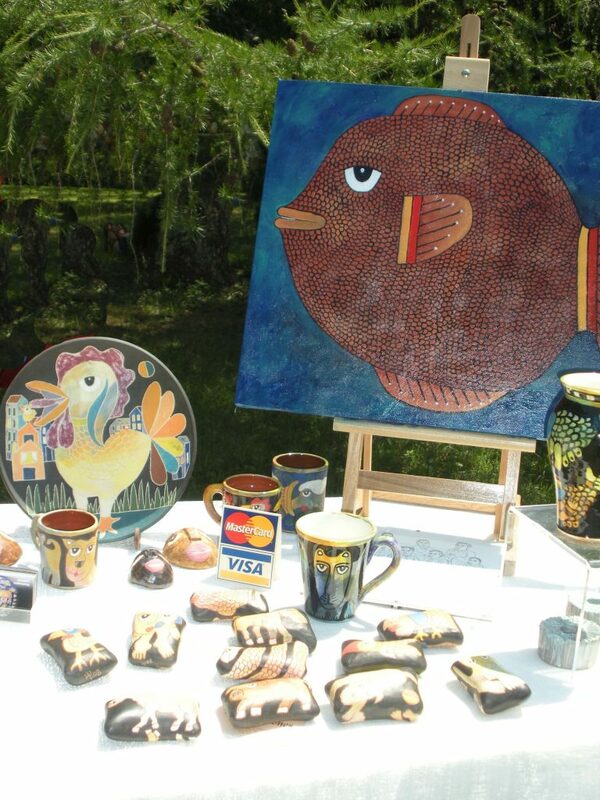 Seek out the vintage items at the half century and counting Chilmark Flea. For dates and times, visit the Vineyard Gazette calendar. Besides in-season fruits and vegetables, Island farm stands and farmer’s markets are also a rich resource for pantry items to take home as gifts or to remember the Island by. Morning Glory Farm packages its own products as well as offering Island honey and condiments. 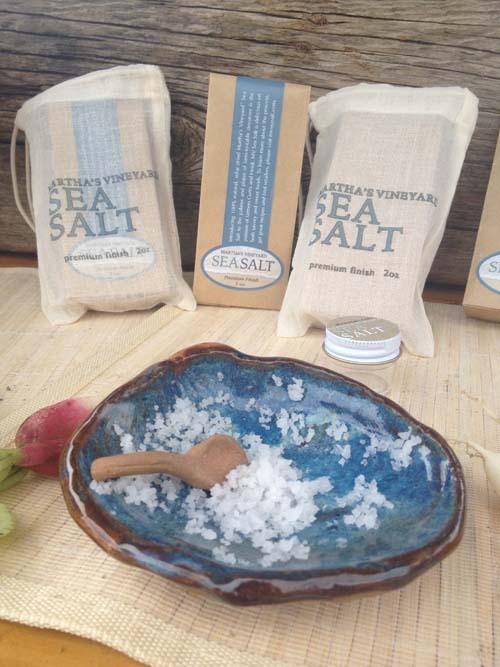 The twice weekly West Tisbury Farmer’s Market, Wednesdays and Saturdays in -season, at the Grange Hall hosts Island farms many of which sell products under their own labels including sea salts, soaps, condiments and more. If you’re looking for something sweet, Murdick’s Fudge, Chilmark Chocolate, and Not Your Sugar Mama all craft their products on Martha’s Vineyard. Sure, you can buy books anywhere, but for memorable volumes, Island bookstores are second to none. Both Bunch of Grapes in Vineyard Haven and Edgartown Books in Edgartown have amazing collections of Vineyard-centric volumes – from cookbooks to fiction, trail guides to fishing lore, and history to politics. Even better, both host author events and signings that allow you to personalize your volume of choice. Want to dig deeper? Check out the Book Den East on New York Avenue in Oak Bluffs, for shelves of vintage volumes to browse. Since summer demands little in the way of fashion beyond a bathing suit and cover-up you might think that maybe fashion has passed us by. Think again. Fashion is alive and well in the ateliers of Stina Sayre and Lorraine Parish, designers with different aesthetics but equal talent. Check out these sophisticated collections in downtown Vineyard Haven at 43 Main Street and 65 State Road respectively. Looking for jewelry? Then don’t leave the Island without checking out the wampum collections at both Claudia and CB Stark Jewelers. In addition, CB Stark offers and extensive selection of Island-themed pieces that range from sea and sailor motifs to whimsical, pretty things in gold and silver. See the Island through an artist’s eye: shop Martha’s Vineyard’s many art galleries for the work that captures the heart and soul of the Island’s landscape. Gallery openings are an interesting and fun way to segue from a lazy day at the beach into the evening, making it a special pleasure to learn about the styles and interests of the artists who are represented. Each with their own aesthetic and point of view are Featherstone Center for the Arts and the Arts District galleries in Oak Bluffs; Eisenhauer Gallery and North Water in Edgartown; The Granary and Field Galleries both in West Tisbury and the Simon Gallery and Louisa Gould Gallery in Vineyard Haven among many others.